Full length neck gaiter available in black or green. 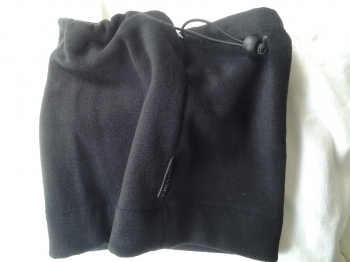 Made from 200g polyester fleece. One size fits all.